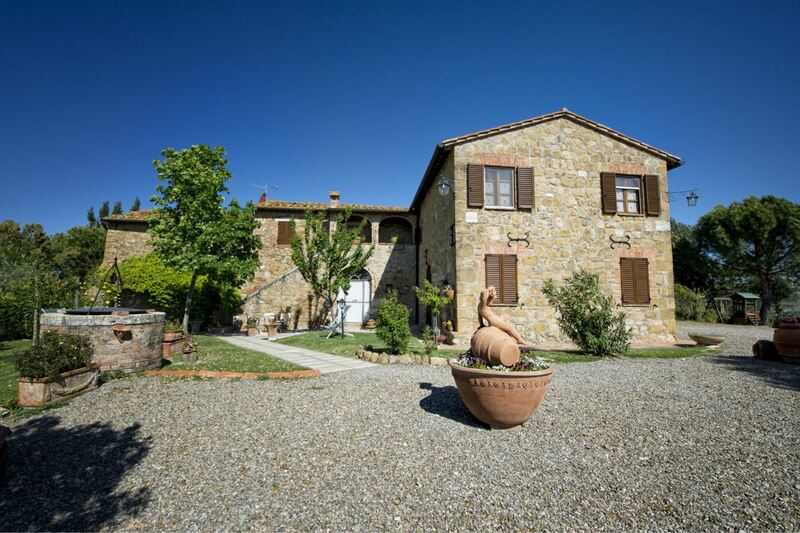 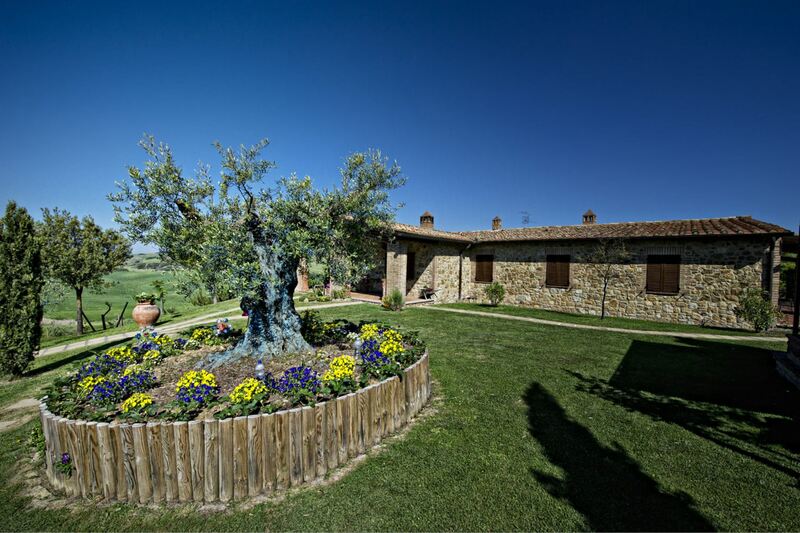 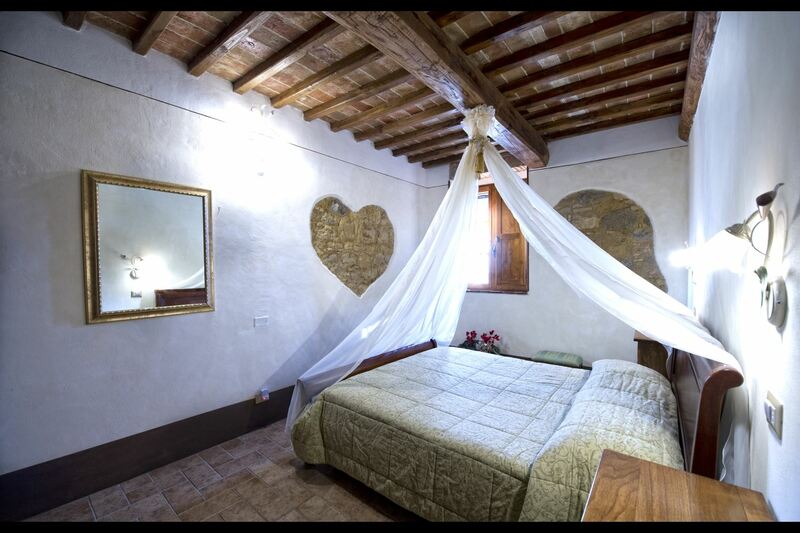 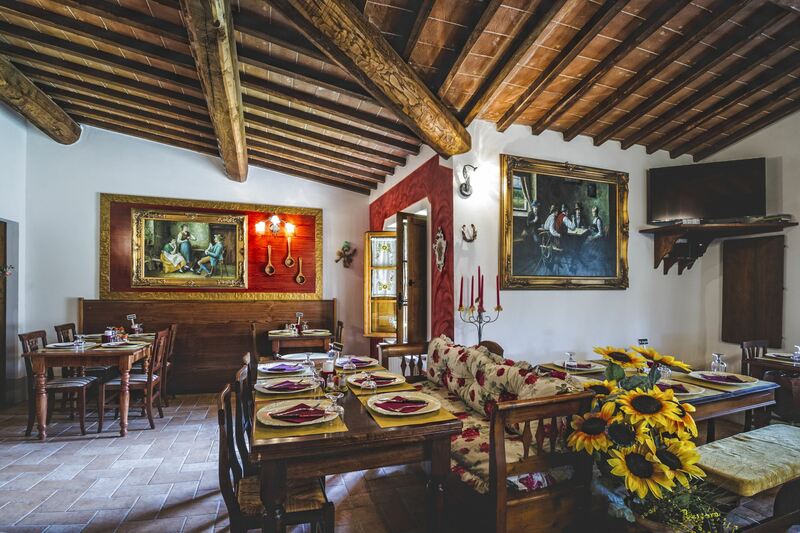 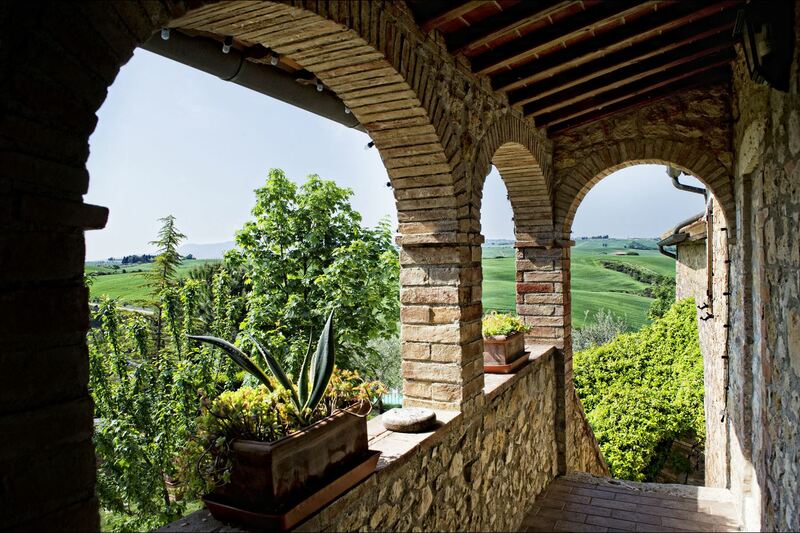 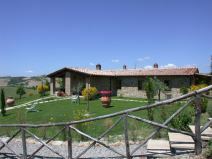 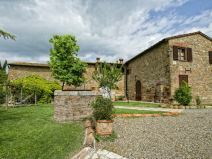 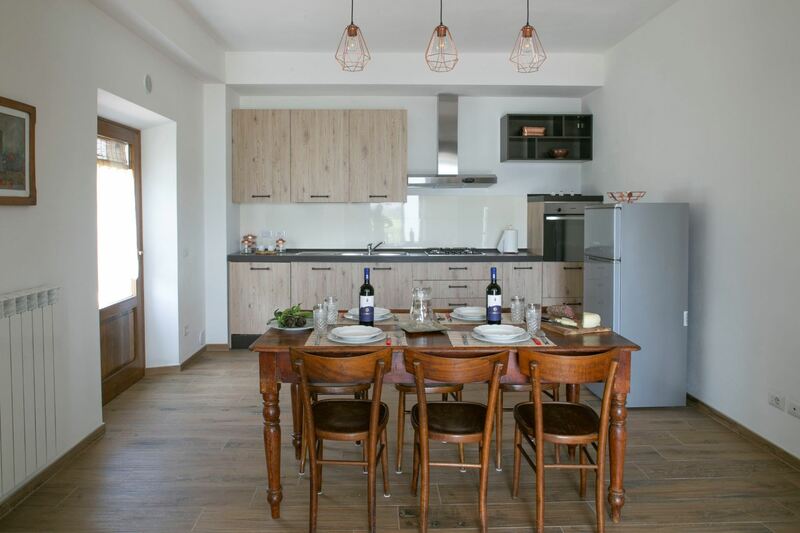 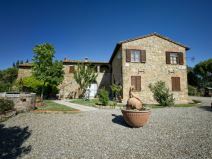 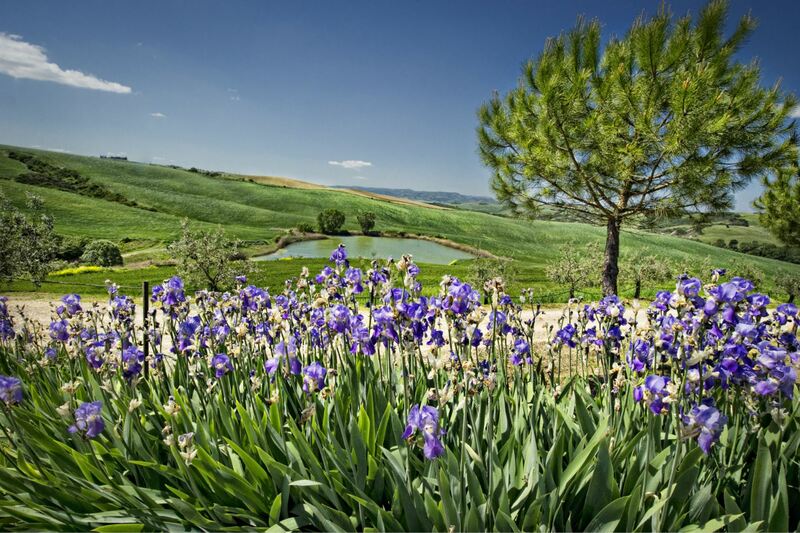 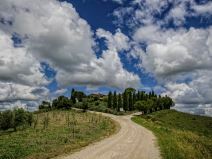 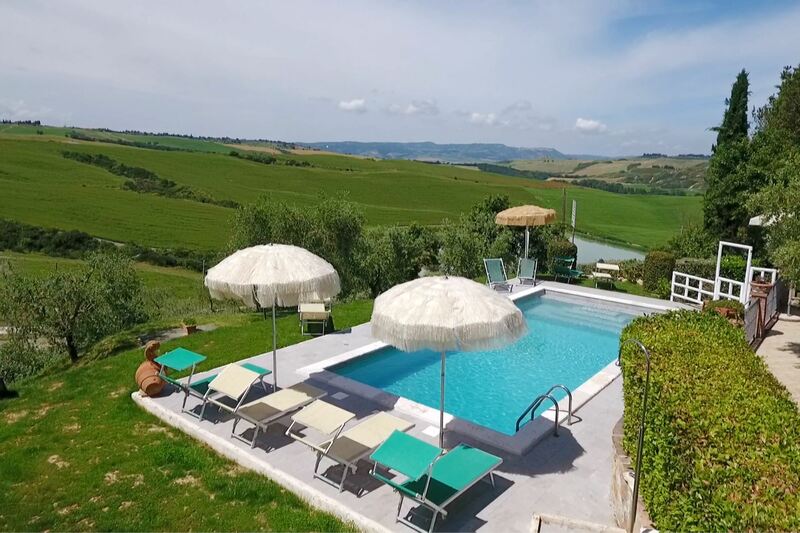 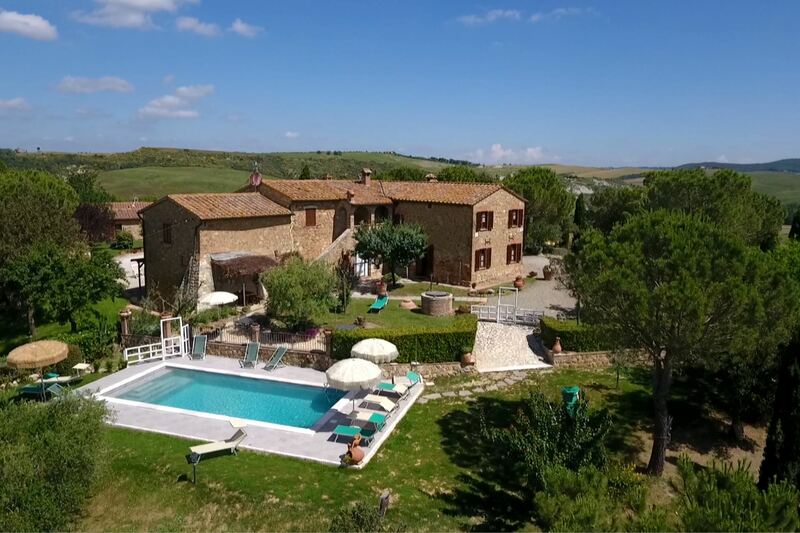 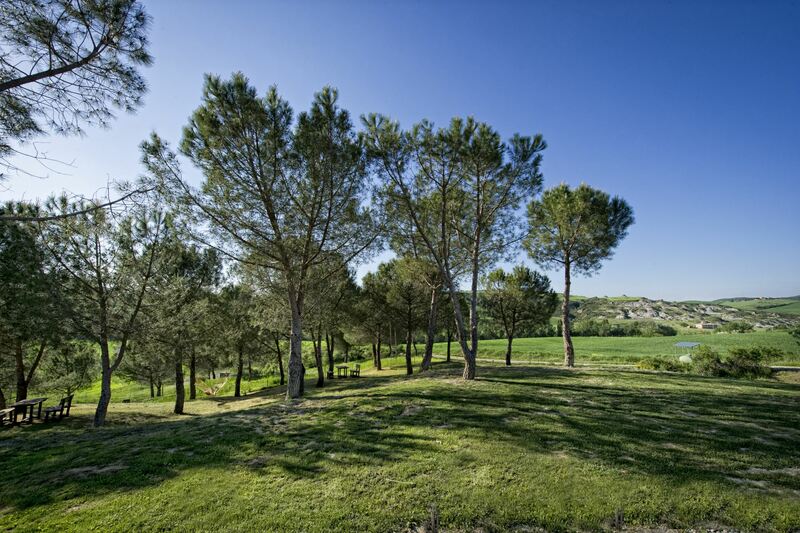 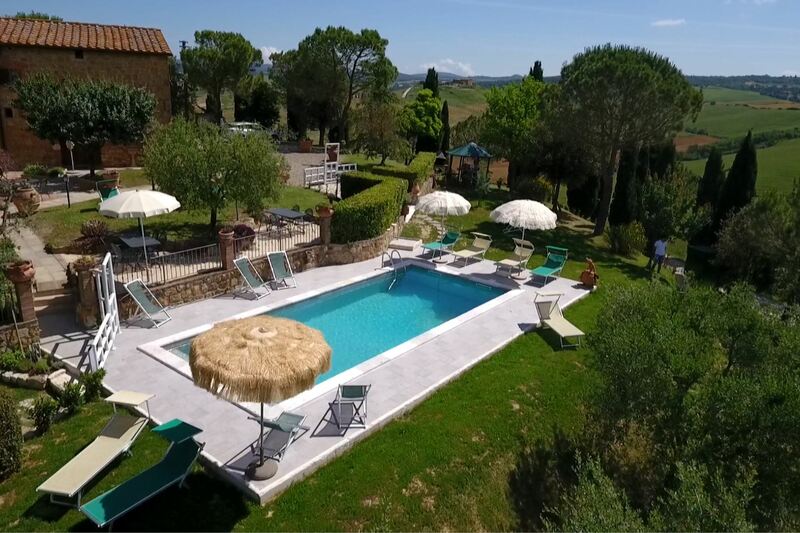 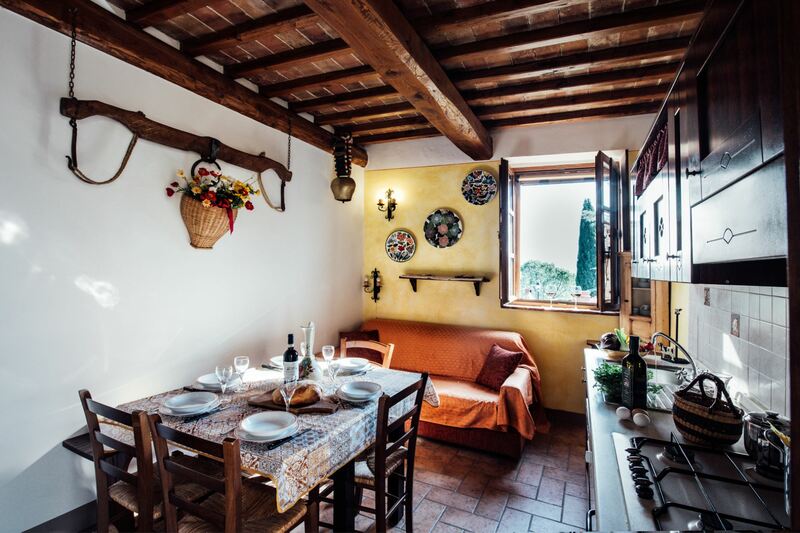 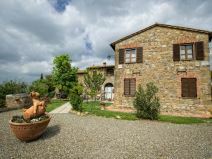 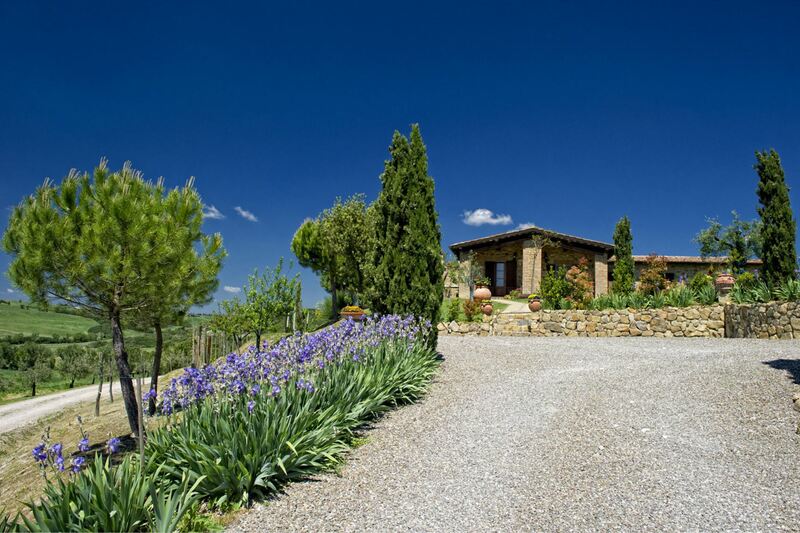 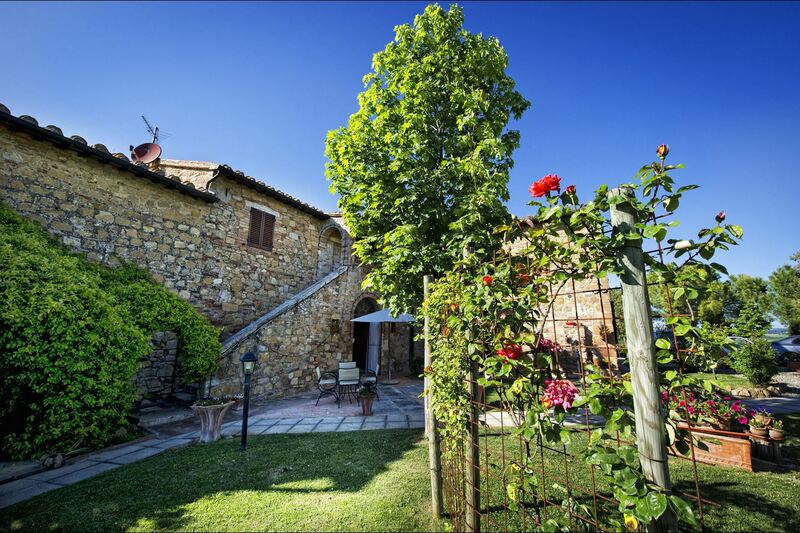 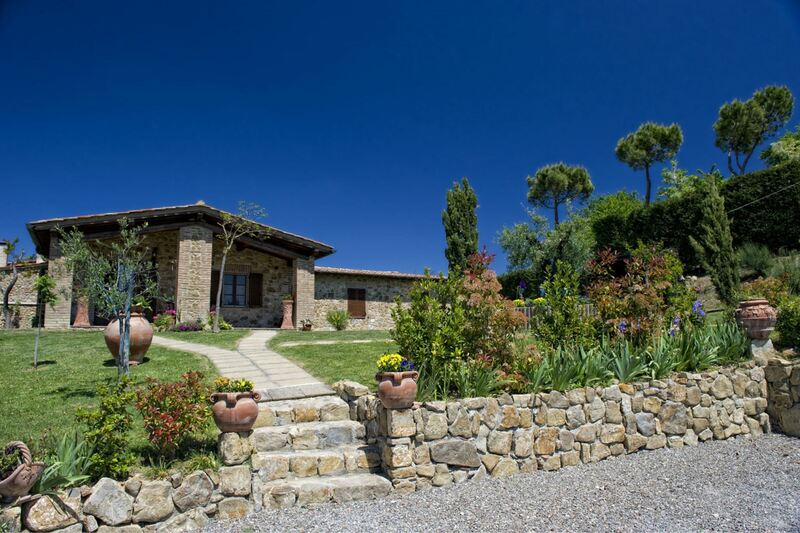 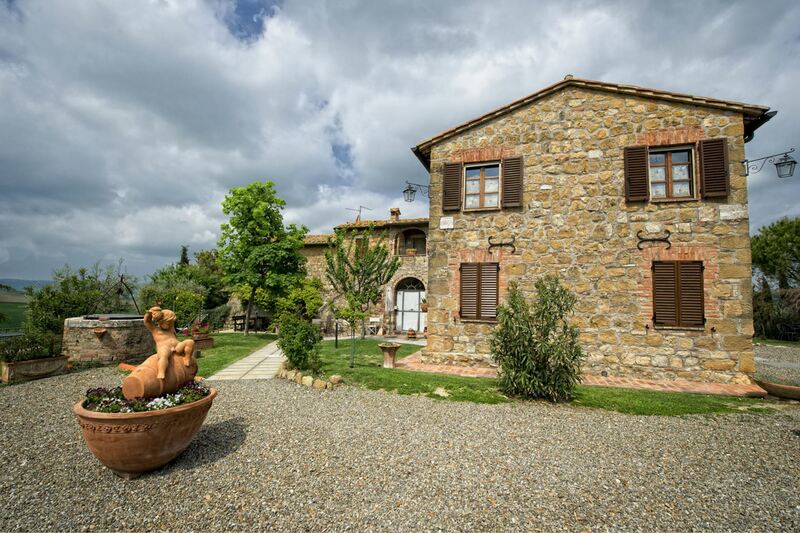 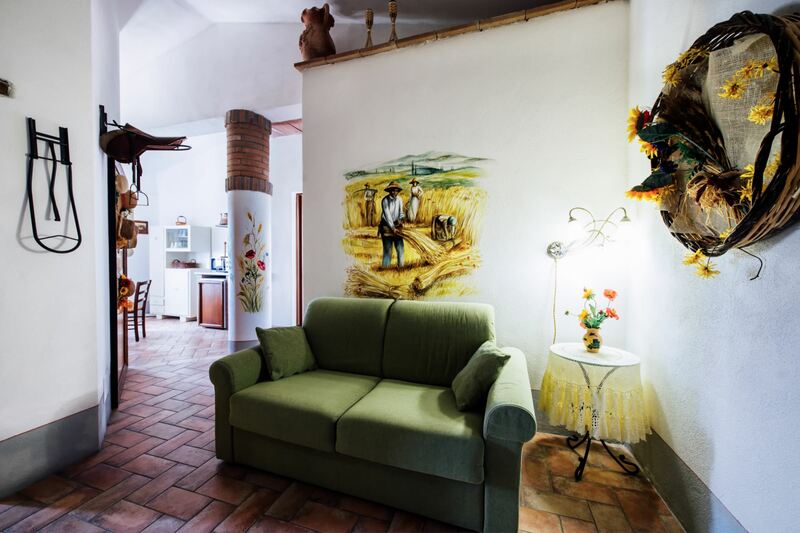 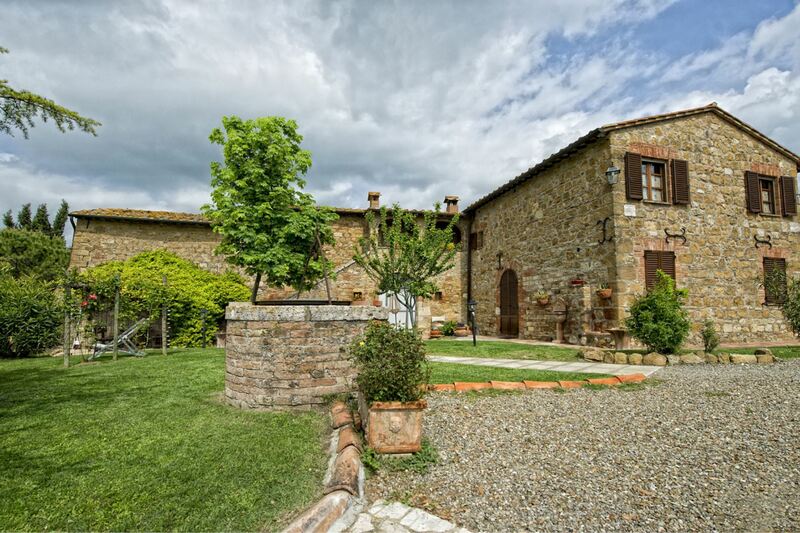 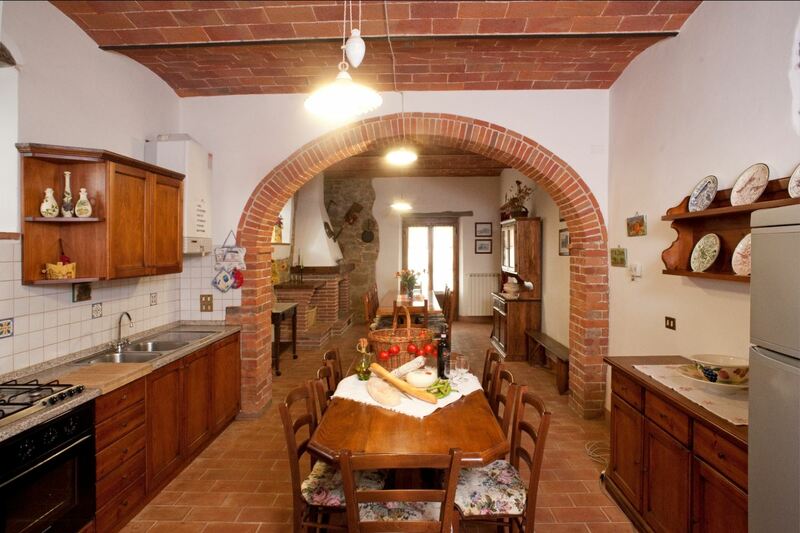 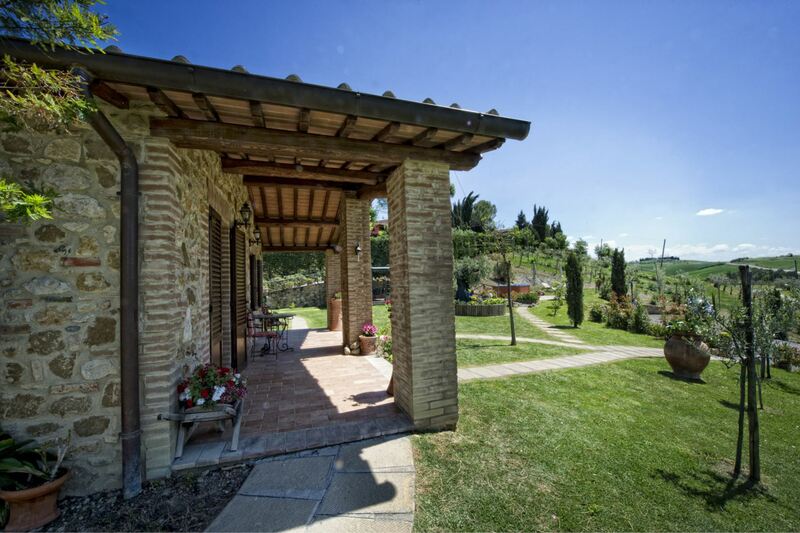 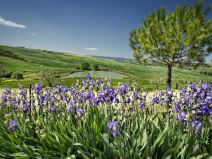 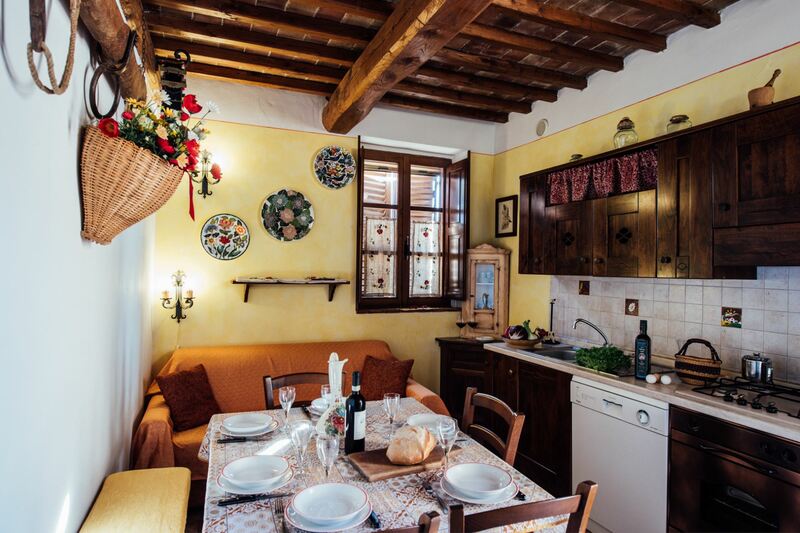 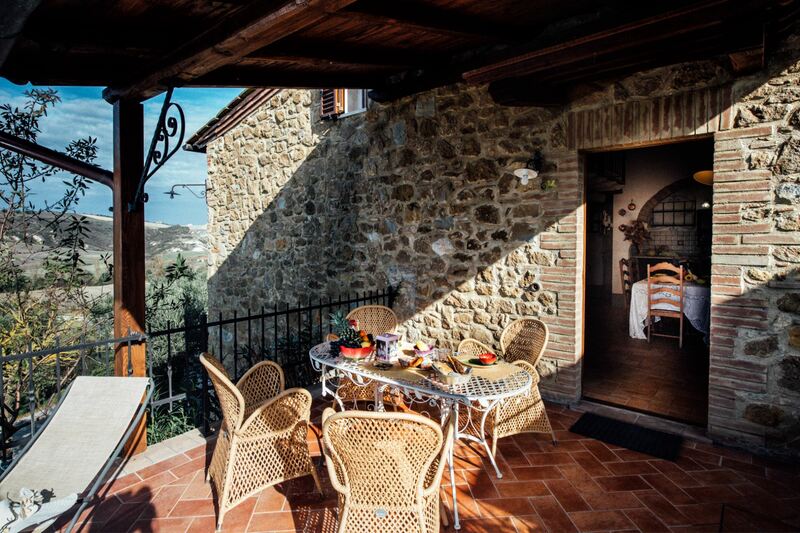 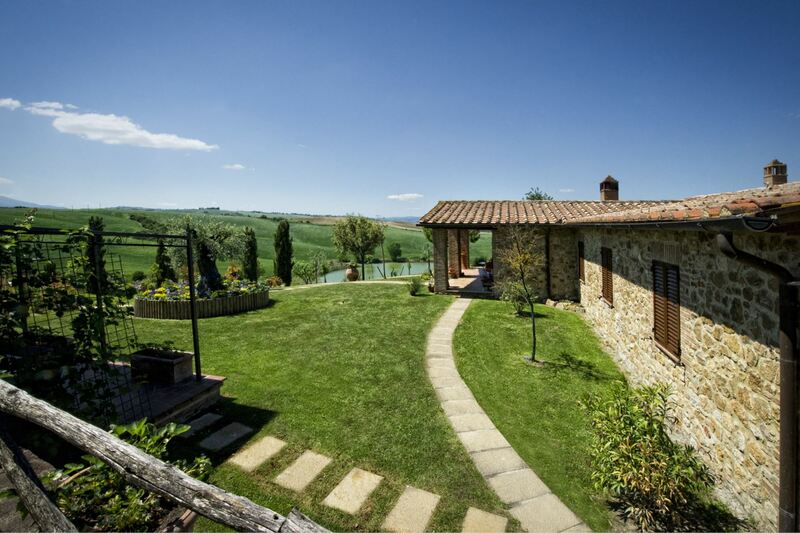 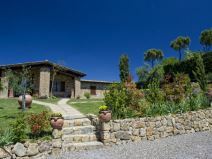 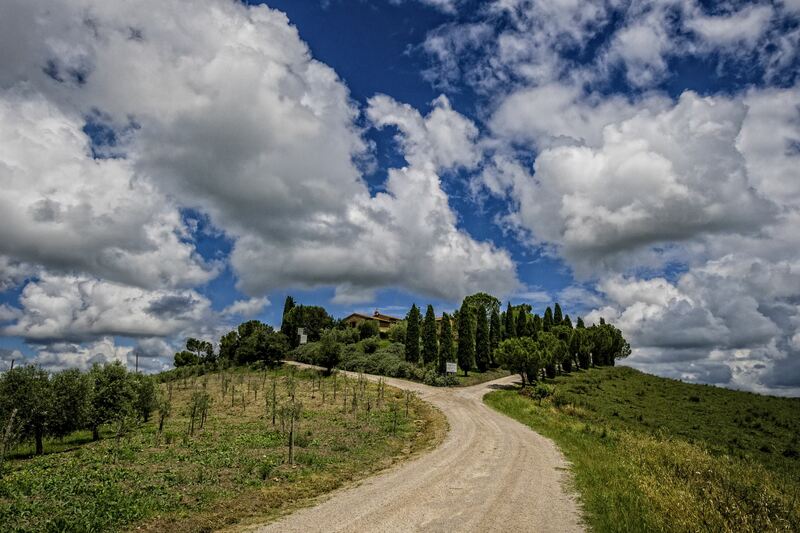 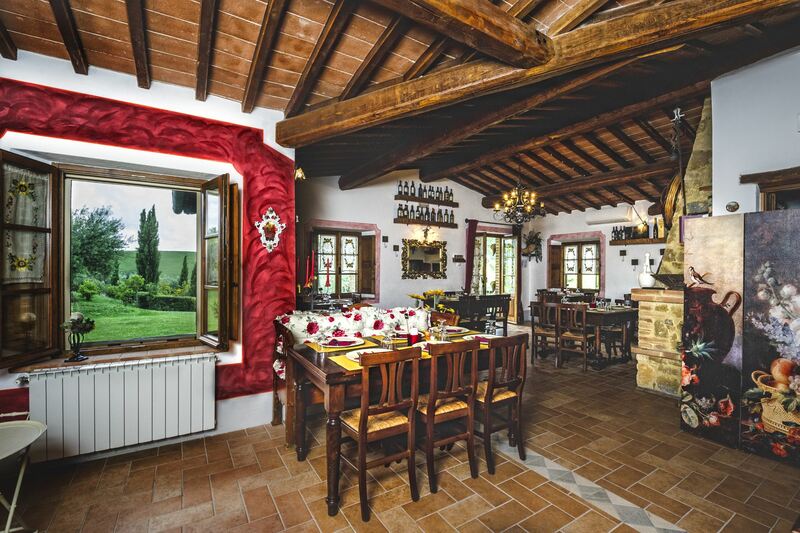 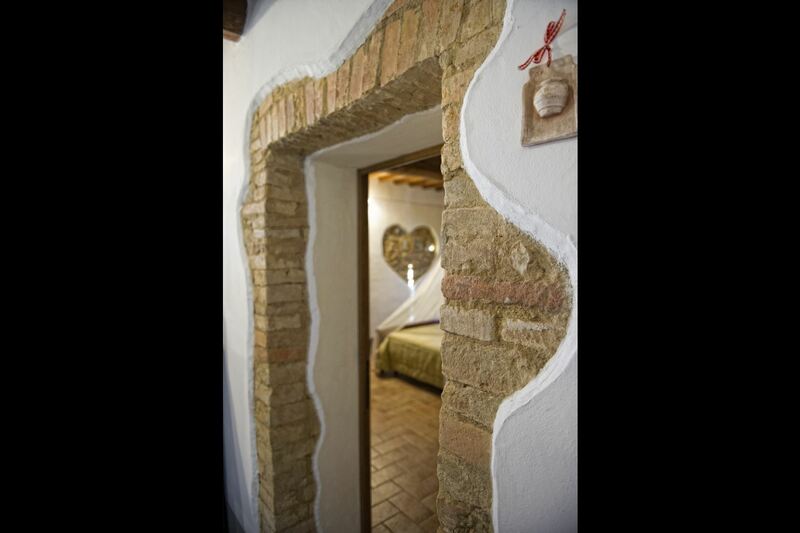 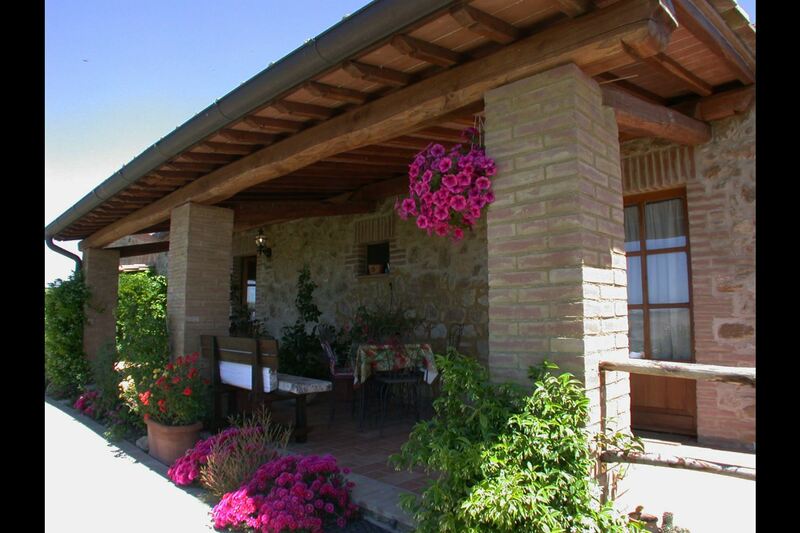 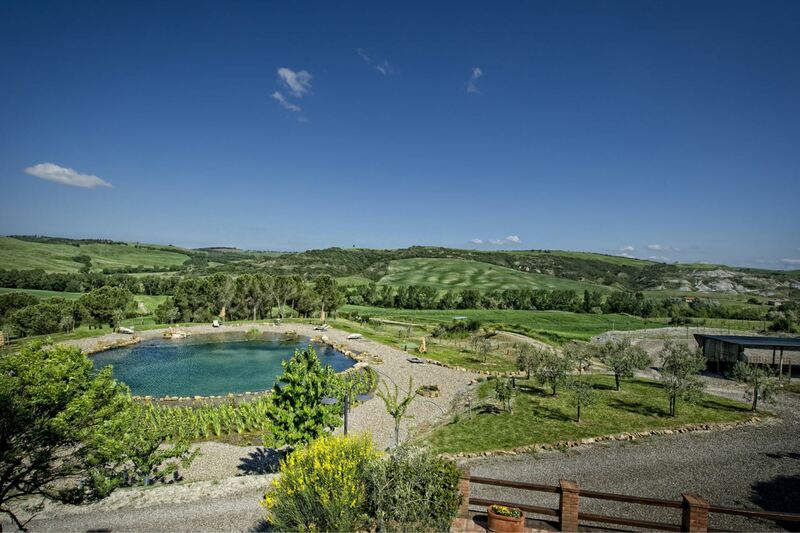 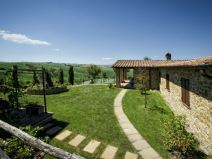 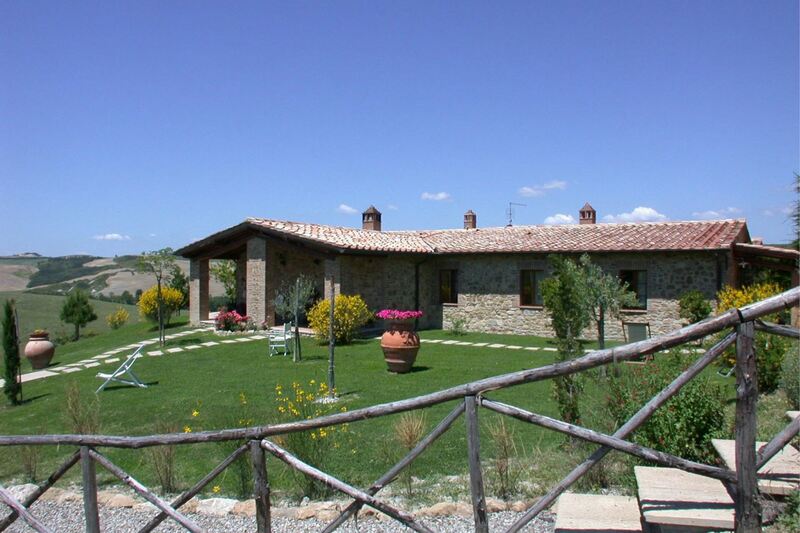 Ground floor apartment for 6 people in a panoramic farmhouse located in Val d'Orcia. 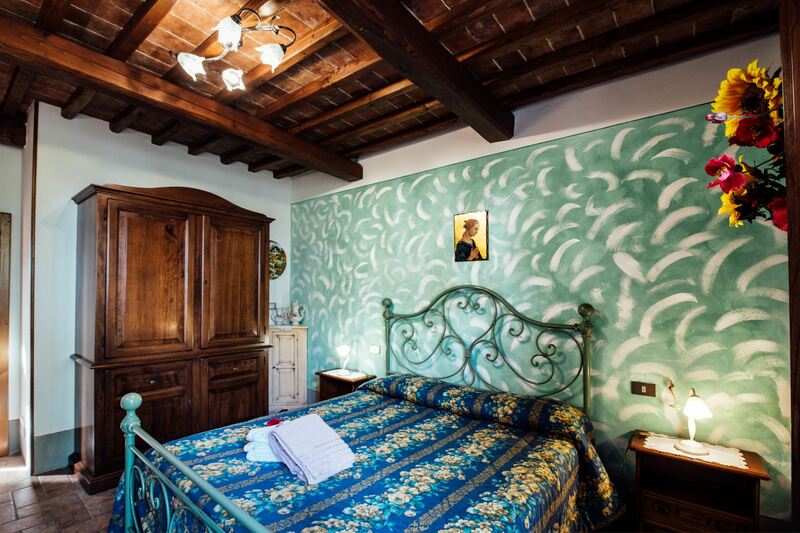 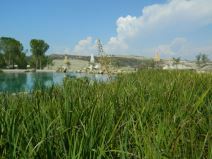 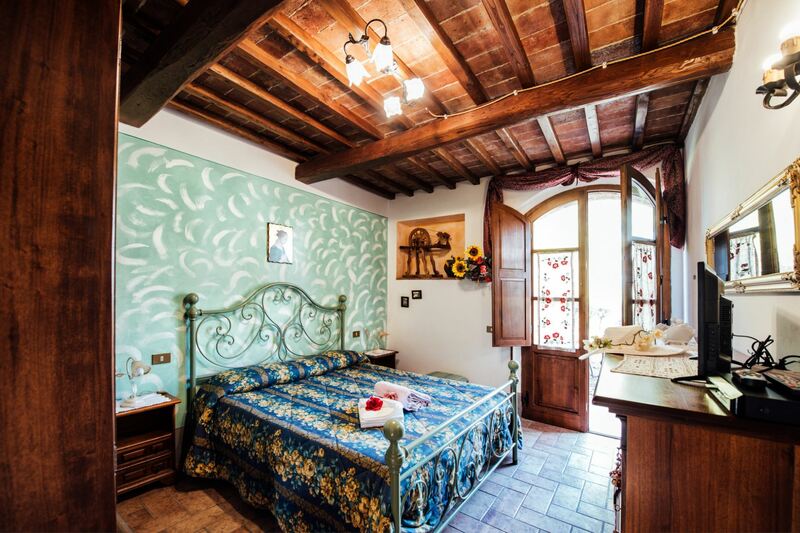 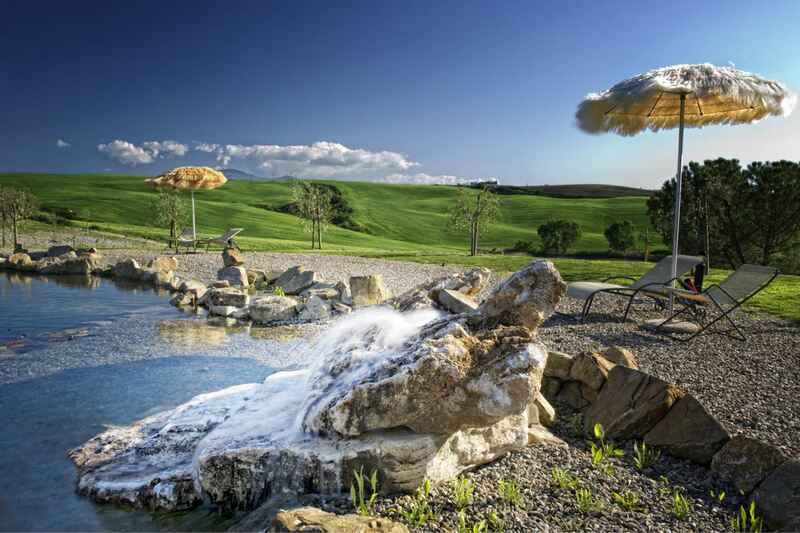 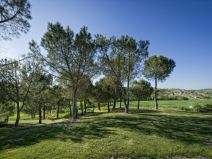 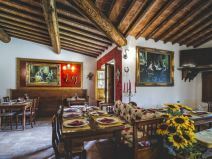 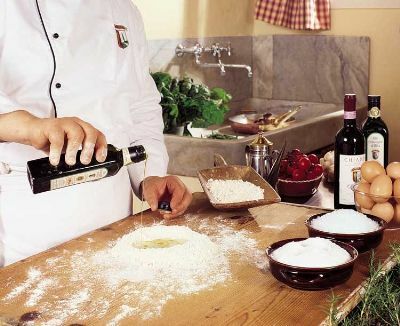 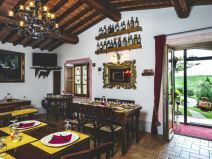 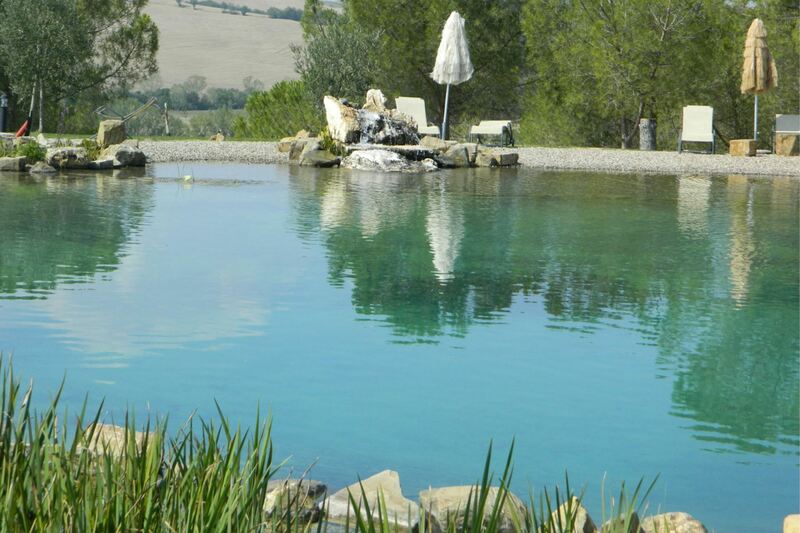 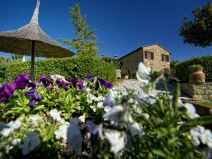 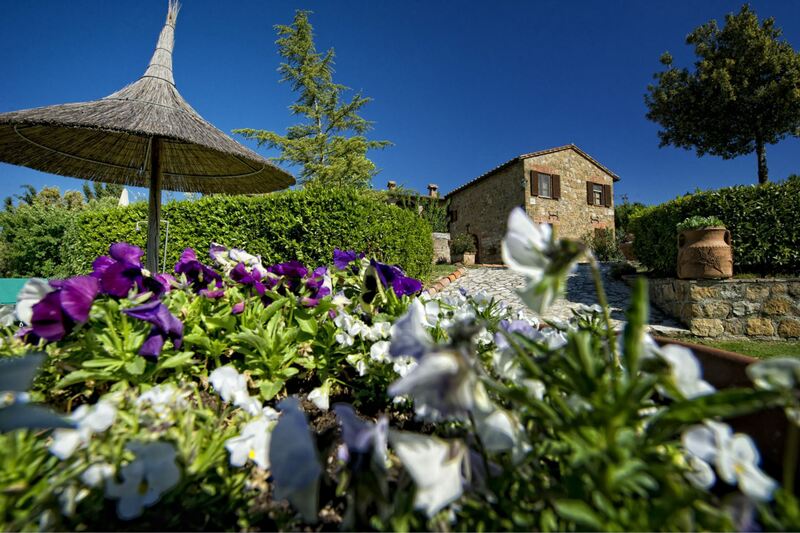 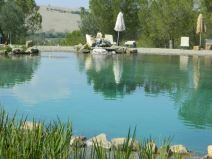 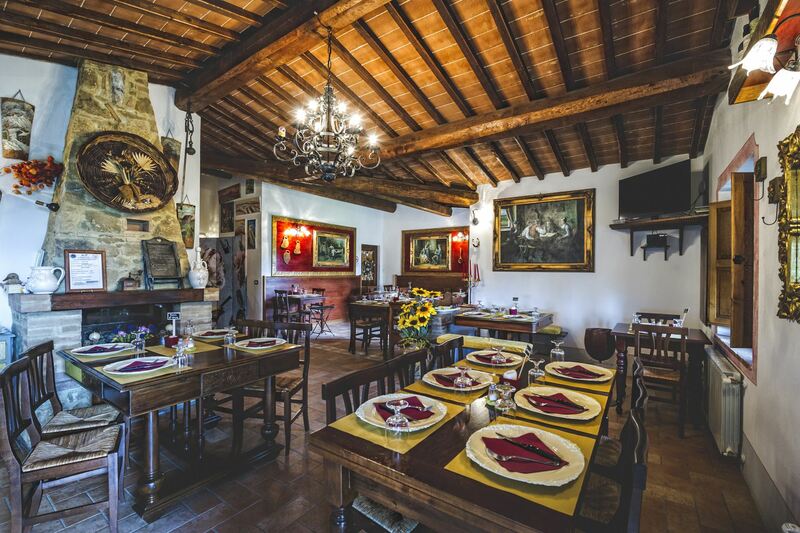 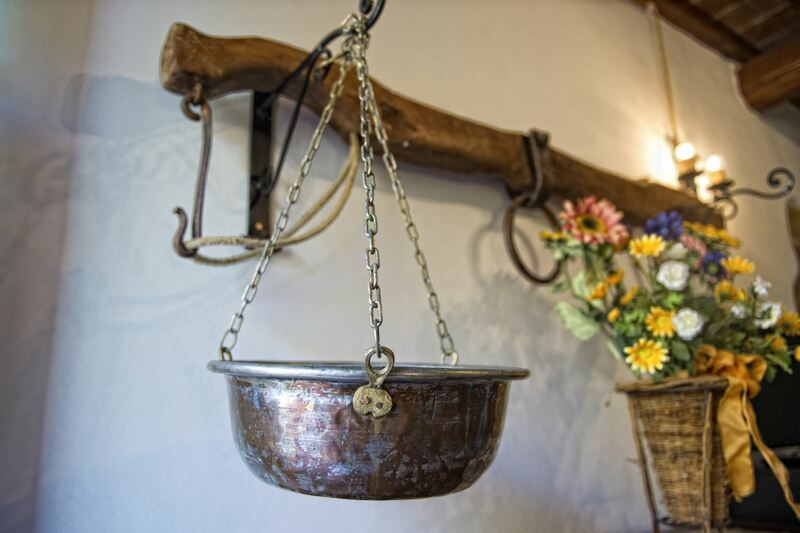 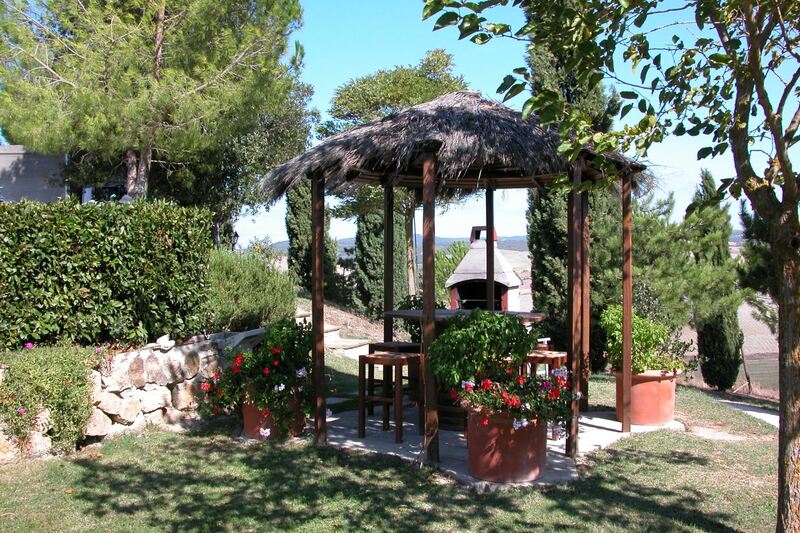 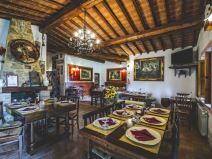 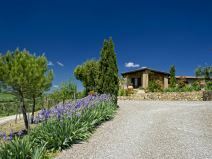 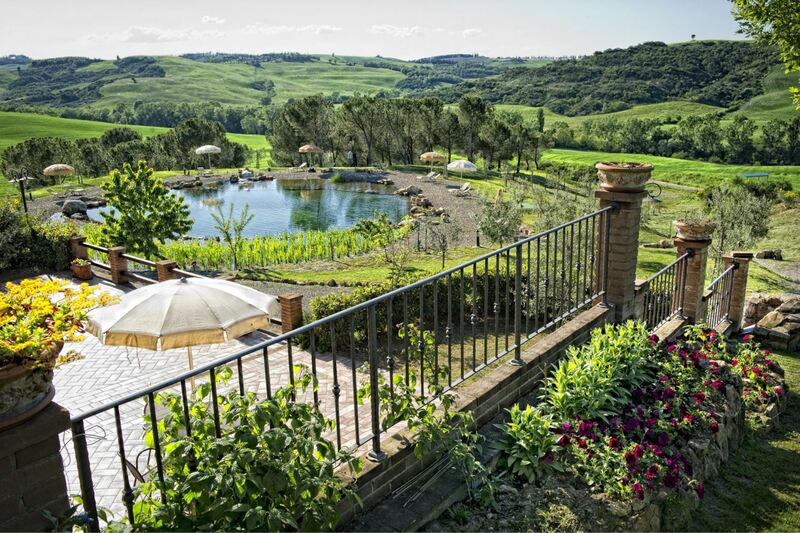 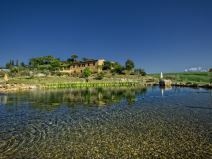 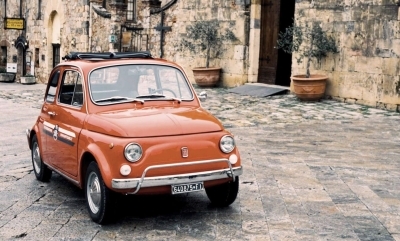 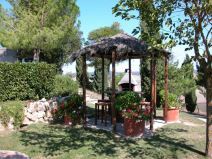 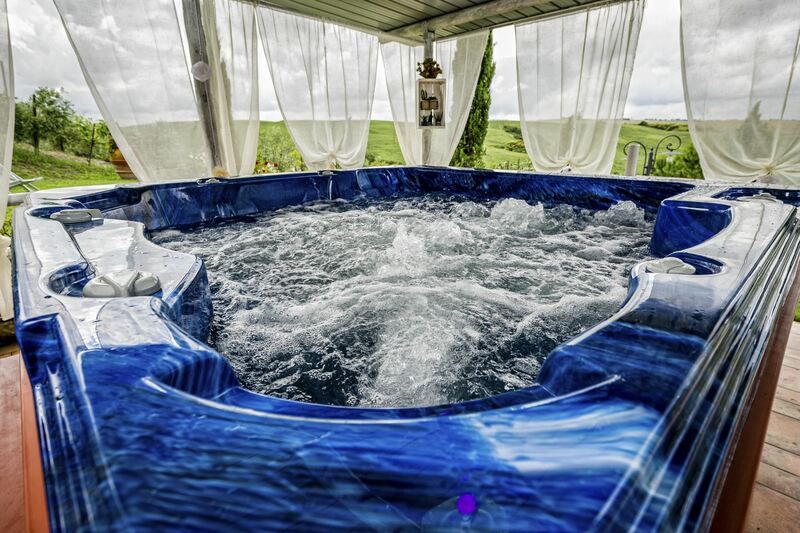 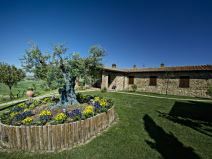 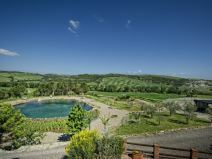 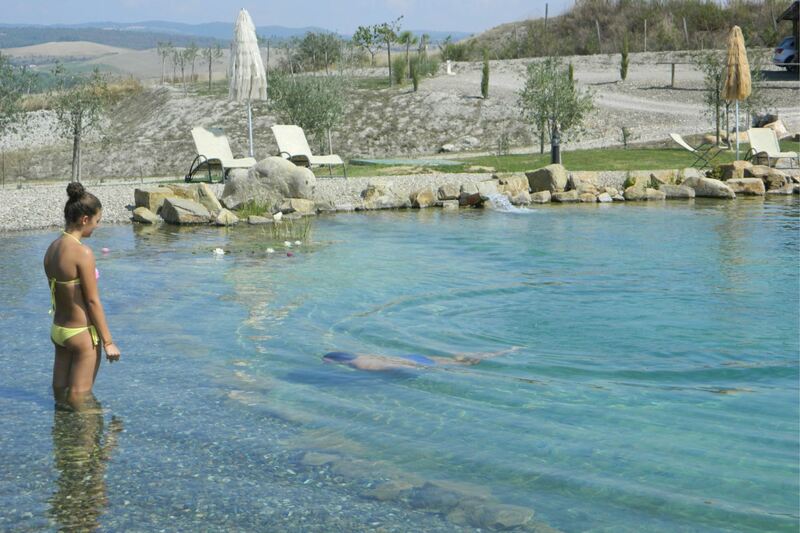 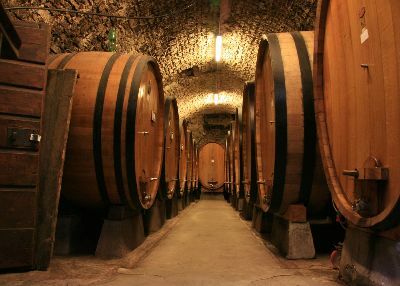 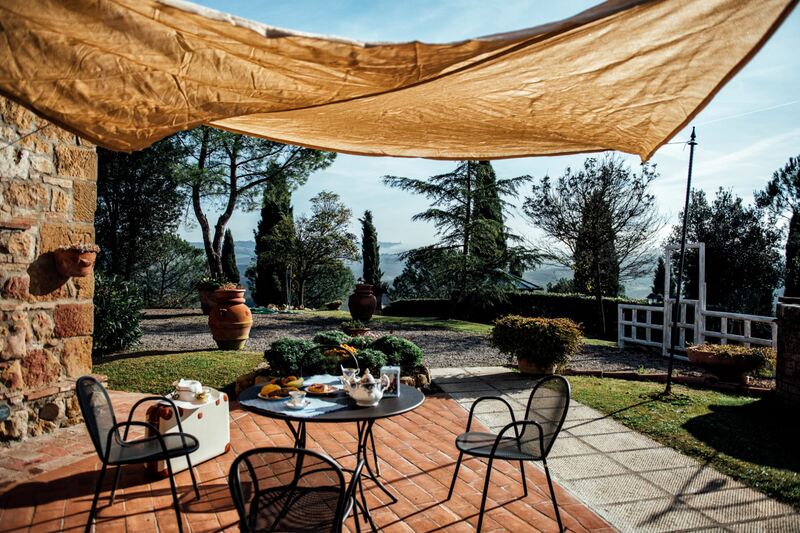 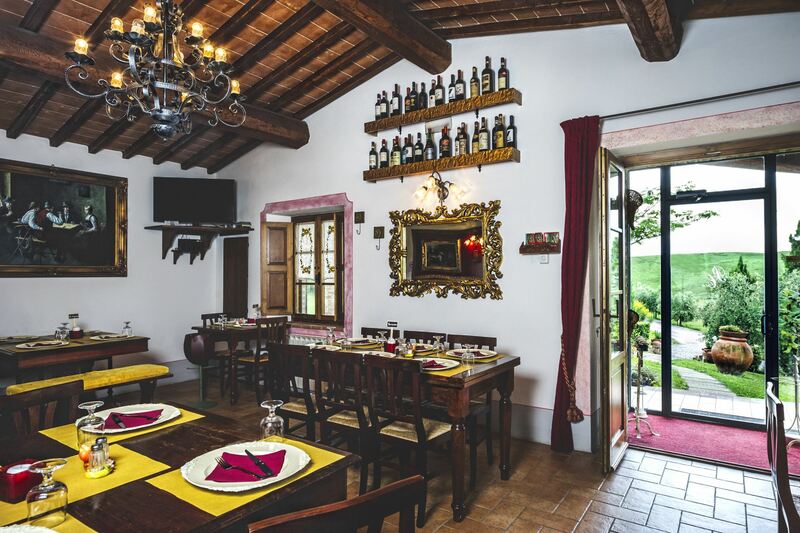 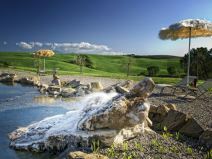 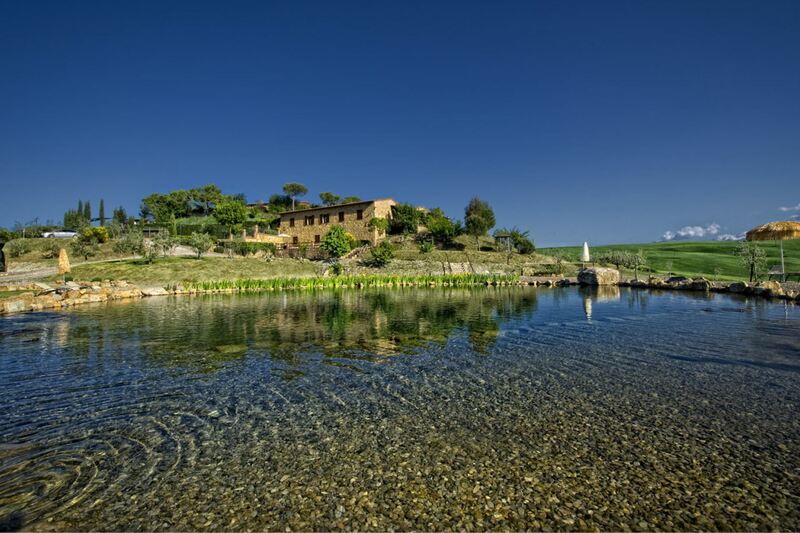 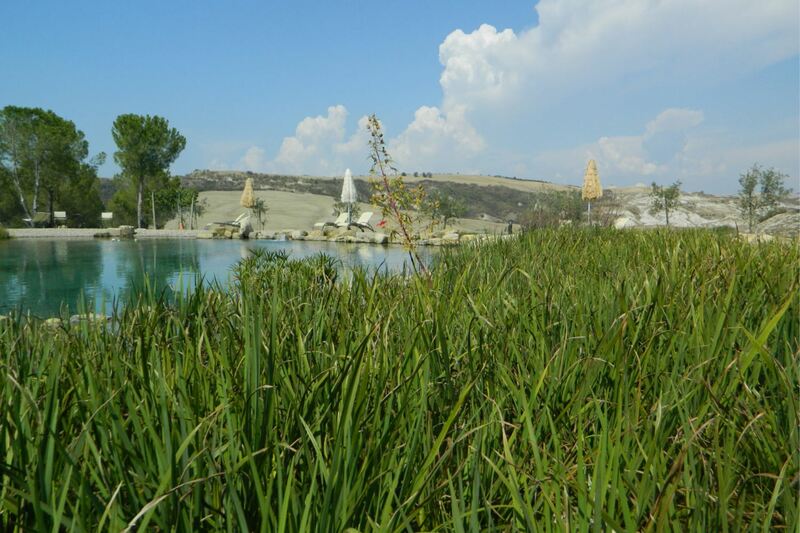 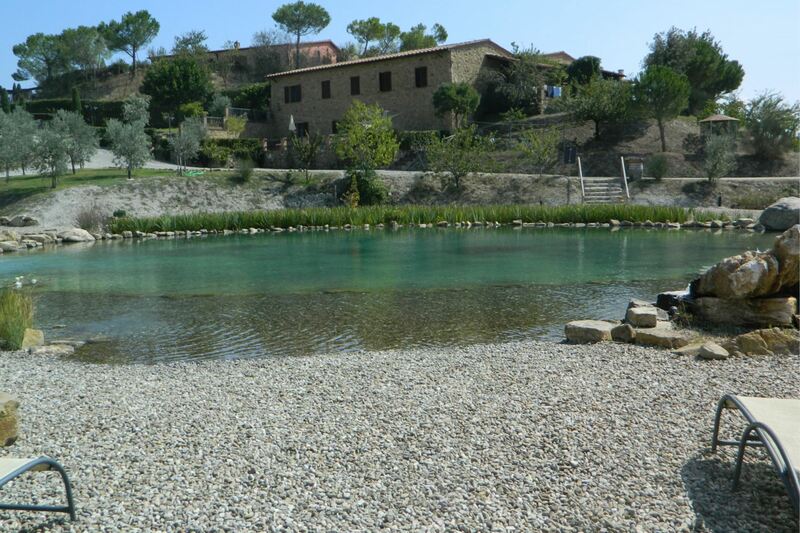 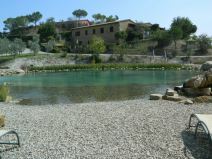 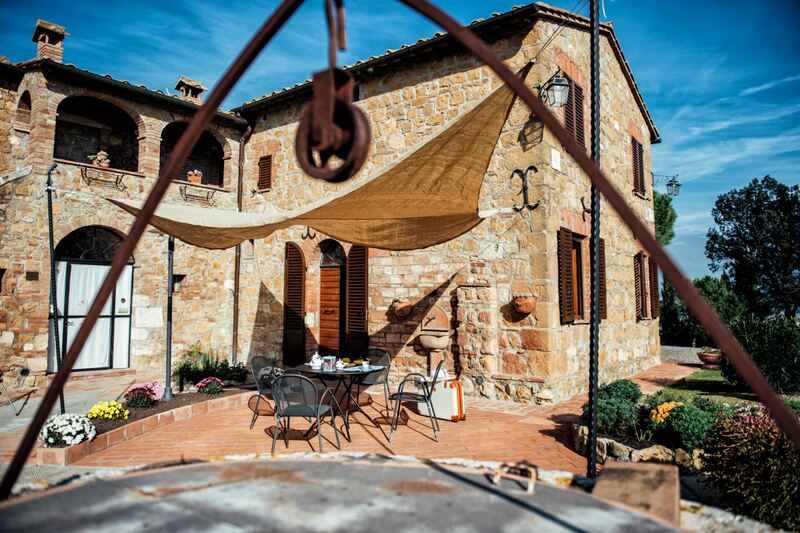 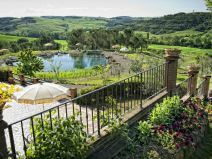 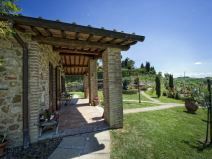 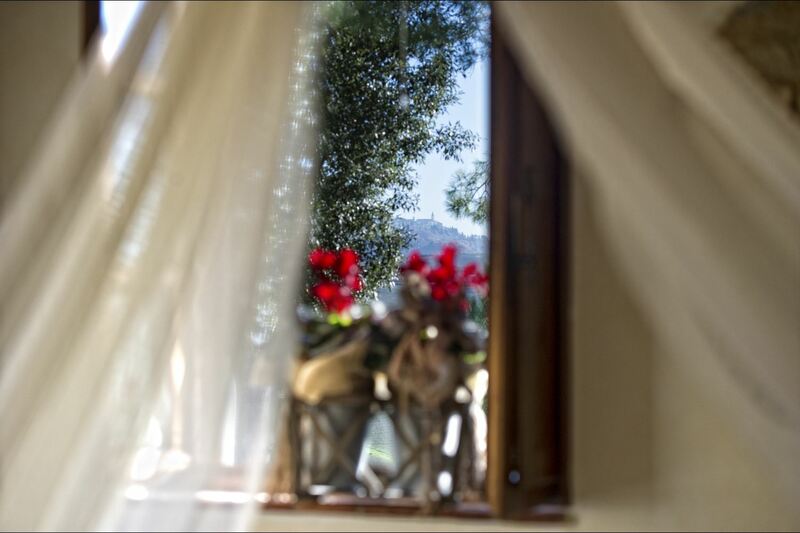 Satellite TV, Wi-Fi access, swimming pool, bio-lake and small restaurant to taste typical Tuscan dishes. 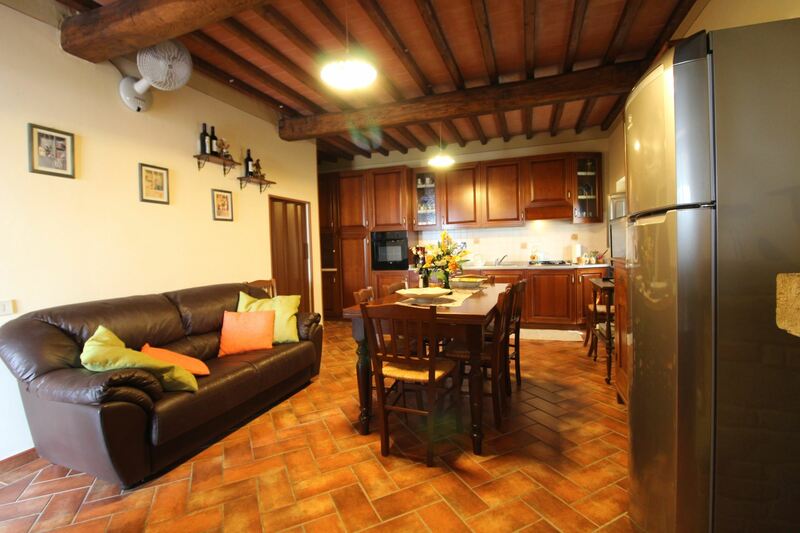 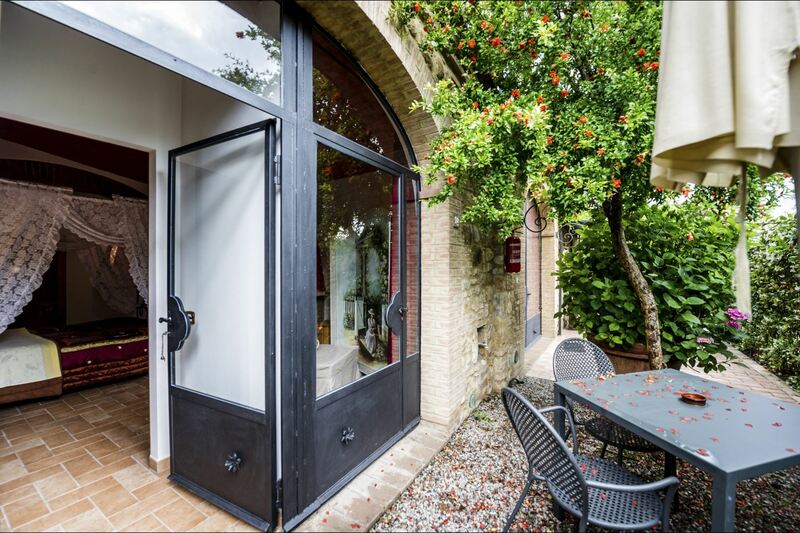 Ground floor apartment in the main house composed of living-dining room with kitchenette and French sofa bed, two double bedrooms, bathroom with shower. 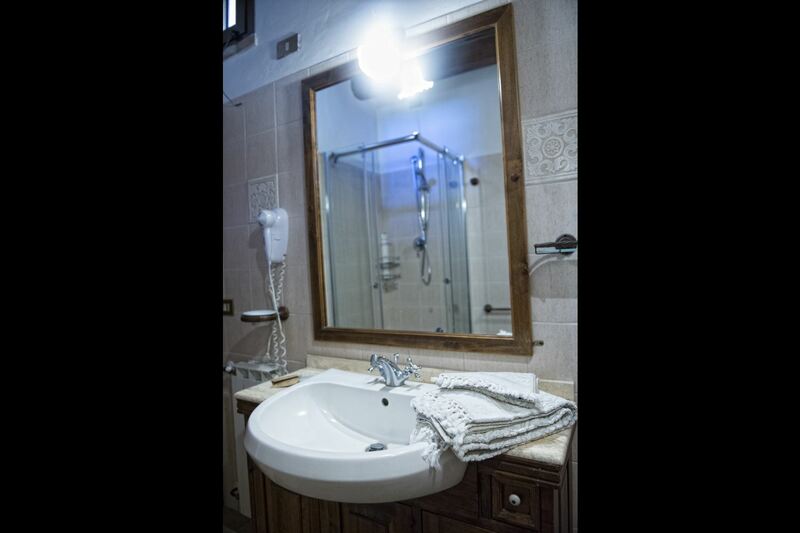 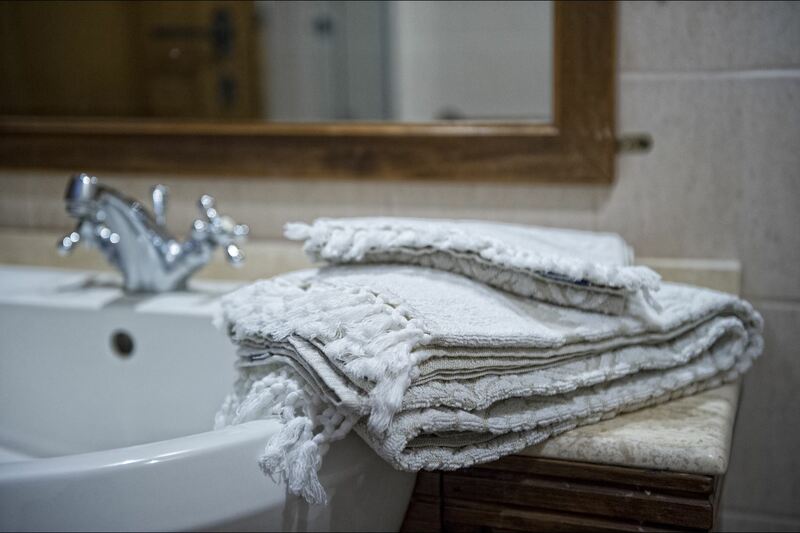 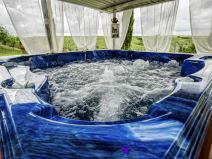 EQUIPMENT: dishwasher, oven, moka coffee maker, satellite TV, high chair, hairdrier in every bathroom, Wi-Fi Internet access, fans in every bedroom.